Are you searching banking sector job??? if yes, then here is a relevant update for you. Canara Bank Recruitment Notification 2018 is released for filling up 800 Probationary Officer Vacancy. Those applicants are interested and eligible for Canara Bank PO Vacancy may apply through online mode only. The online Registration form is available from 23.10.2018. Applicants can fill Canara Bank Job Online Form till on the last date 13.11.2018. Furthermore, information such as eligibility criteria, application fees, selection procedure and how to apply is given below. Here in below section, Canara Bank Online from the direct link is also available. Canara Bank is inviting online application for filling up 800 Probationary Officers Vacancy. This is a great opportunity for candidates those are searching Bank Jobs. Canara Bank Vacancy Application Form is available from 23.10.2018. You can fill your application form till on the last date. If you are interested and eligible for Canara Bank PO Jobs then you may apply through online mode. Rest information you can collect from below segment. Fresh Update as in 31.10.2018: Applicants those are interested and eligible for Canara Bank Recruitment 2018 may fill the online form from here. There are 800 Probationary Officer Vacancy. The last date of apply online for Canara Bank PO Jobs 2018 is 13.11.2018. Last date of online registration is 13.11.2018. What is the Important Dates For Filling Canara Bank PO Recruitment Online Form ? What is the Age Criteria For Canara Bank Recruitment 2018 ? How To Check Canara Bank PO Vacancies Exam Fees, Pay Scale & Selection Criteria ? How Much Application Fees required For Filling Canara Bank Jobs 2018 ? How To Fill Online Form for Canara Bank Recruitment 2018 For Probationary Officer Vacancies ? The applicant who wants to apply for Canara Bank Recruitment 2018 must fulfill eligibility criteria also. Interested candidates must check education qualification, age limit and other parameters to check their eligibility level. The details are mention below. Participant must complete Graduation Degree (60%) Marks from a recognized university. While SC/ST/PWD candidates must have minimum 55% marks or equivalent in Graduation. Furthermore, you may consider Canara Bank Recruitment Notification 2018. The age criteria is decided as on 01.10.2018. Applicants minimum age require 20 years for Canara Bank PO Recruitment 2018. Candidate should not be more than 30 years. Upper age relaxation is applicable as per govt. norms for Canara Bank Vacancy. Participants selection will be made on the basis of candidates performance in Written test, Group Discussion & Personal Interview. The online test conducted by IBPS Mumbai. There will be 200 questions and it contains 200 marks. Negative marking also for every wrong answer. Duration of examination will be 120 minutes. Participants those are belonging to General & OBC Category have to pay Rs. 708/- towards application fees of Canara Bank PO Vacancy. While SC/ST/PWD candidates have to pay Rs. 118/-. Fee will pay through online mode only. Those candidates are selected for Canara Bank Vacancy also require to pay Course Fees. Details are mention below. JMGS-I: Rs. 23700-980/7-30560-1145/2-32850-1310/7-42020/- with other allowances. Candidates who want to apply for Canara Bank Online Form and also eligible as well may apply through online mode only. The direct link also available at the end of the article to fill up the application form. Before going to apply for Canara Bank PO Recruitment applicant must have valid email id and mobile no. Now follow some given below instructions to fill up the application form. First of all, go to the official site canarabank.com. Download Canara Bank PO Notification 2018. Now go to apply online for Canara Bank Jobs 2018 for Probationary Officers. Enter all the required information such as personal and educational. Upload Signature and Photograph on your Canara Bank Recruitment Application Form. Now Submit your Canara Bank Application Form 2018. 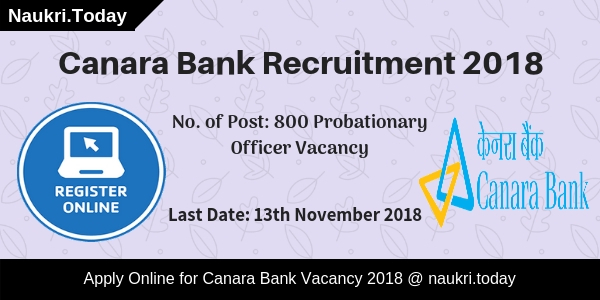 Conclusion: Canara Bank Recruitment 2018 for 800 Probationary Officer Vacancy. 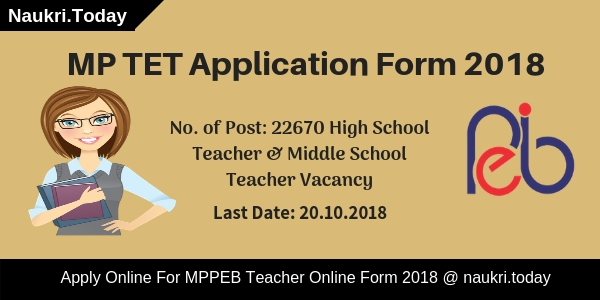 The application form is available from 23.10.2018 to 13.11.2018. Applicants may apply for Canara Bank Jobs 2018 through online mode. Applicants, If you are looking for Bank Jobs then here is good news for you. Canara Bank has now released Probationary Officer Recruitment Notification. There are total 450 PO Vacancies. Applicants who are interested in Canara Bank Recruitment 2018 can fill application form through online mode. You can submit online form for Canara Bank Vacancies till the last date, that is 31.01.2018. More information you can collect from below article. Canara Bank is inviting online application for appointing 450 Probationary officer Vacancies. Online registration for Canara Bank PO Recruitment has been started from 09.01.2018. Applicants, who are going to fill online form for Probationary officer Jobs must check required eligibility criteria from here. In the below section, our naukri.today team is providing full details about Education, age, pays Scale & Selection criteria for Canara Bank Jobs 2018. Latest News as on 11.01.2018 : Dear Applicants, Canara Bank has now issued Po Exam Syllabus & Exam Pattern. Candidates who are preparing for Canara Bank Po exam Check Topic Wise Exam syllabus from here, which is mention below & fill online form for Canara Bank recruitment from here. Those candidates who are going to fill online form for Canara Bank PO Recruitment 2018 must check Eligibility Criteria from here. In the below section all details about education & Age Qualification is mentioned. You can also get these information by reading the official Canara Bank Jobs Notification. Applicants must have done Graduation degree with minimum 60% Marks (55% for SC/ST category) or equivalent qualification from any recognized university for Canara Bank Jobs 2018. Candidates must have Knowledge of Computer application & having working knowledge in Hindi. Minimum age of the candidates for Canara Bank PGDBF Notification should be 20 years & maximum age should be 30 years as on 30 years as on 01.01.2018. Relaxation in age for Canara Bank Vacancies is applicable only for reserved category candidates as per department rules & regulation, which is mention in official notification. Selected candidates for Canara Bank Vacancies will paid a good salary as per organization norms. After joining, candidates will paid Rs. 23700 – 980/7 – 30560 – 1156/2 – 32850 – 11310/7 – 42020/- per month for PO Vacancies. 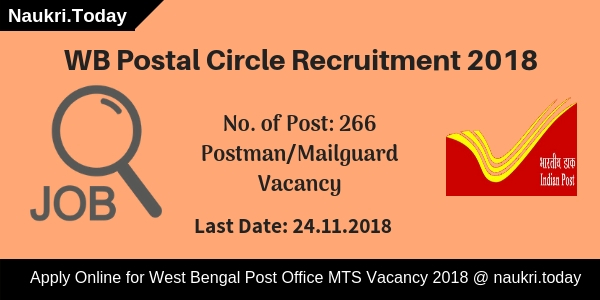 Applicants of General/OBC Category must paid Rs. 708/- as application fees for Canara Bank PO Recruitment 2018. Other Category appliers like SC/ST needs to pay Rs. 118/- for filling online form for Probationary officer Jobs. Fees must be deposit through online mode. Selection of the candidates for PO Vacancies in Canara Bank will made on the basis of Written Exam, GD & Interview. Pattern of written Examination is mention below. More information about Selection criteria For Canara Bank Jobs 2018 you can check from official notification. Applicants who are interested for filling online form for Canara Bank Vacancies must read the below steps. By using these steps you can easily fill online form for Canara Bank PO Jobs 2018. Firstly read all steps & Follow while applying online form. First of all candidates log on to the official website www.canarabank.com. Now click on Career Section & click on Official Canara Bank Notification link. Recheck all details filled in Canara Bank Po jobs Online form. Conclusion : – Canara Bank Recruitment 2018 For 450 Probationary officer Vacancies. Candidates can fill online form for Canara Bank PO Recruitment on or before the last date 31.01.2018. To get more information about Probationary officer Jobs you can check from official notification or by reading the above article.